Vadirajatirtharu is one of the greatest saints belonging to the Madhwa Brahmin sect. He was born in 1480 on Magha (February) Shudda Dwadashi to a Shivalli Tulu Brahmin couple, Ramabhatta and Gowri in Hoovinakere, near Kumbhashi, Kundapura taluk, Udupi district. Vadirajaru was named as Bhoovaraha. Long ago Sri Vaagisha Theertharu of Sri Vishnutheertha Matha (Mutt, Monastary) visited Hoovinakere. The childless couple Rambhatta and Gowri requested Sri Vaagisha Theertharu to bless them with a child, the Swamiji blessed them with the condition that if the child is born outside the house, the baby should be handed over to the Matha for upbringing. The couple readily agreed as the chances of giving birth outside the house was minimal. One day during the ninth month of pregnancy Gowri was worshiping the Tulasi plant outside the house and saw few cows enter the garden. She immediately took a stick and chased them to the nearest field, thus moving away from the house. Labor pains started and she delivered the baby in the field. 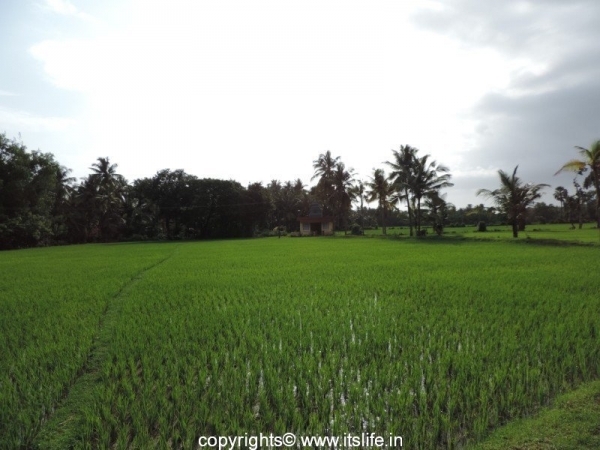 This field is known as Gowri Gadde (Gadde: Field). Message was immediately sent to Sri Vaageesha Thirtharu and a golden plate arrived from the Matha to take the baby away. The parents named the baby “Bhoovaraha” (Bhoovaraha is an avatar of Lord Vishnu). Sri Vageesha Theertharu pacified the parents that the child was god send to preach the Madhwa philosophy to the world. Bhoovaraha learnt the Vedas, Madhwa Shastra, and so on from Sri Vageesha Theertharu and proved to be a good learner and displayed immense bhakthi (devotion). When Bhoovaraha turned eight years old, he was initiated to the Sanyasa Ashrama (ascetic) and was given the name: Vaadirajaru. After Sri Vageesha Theertharu attained Moksha, Vadirajaru went to Hampi to meet Sri Vyasrajaru (previous incarnation of Sri Raghavendra Swamiji). In Hampi, Sri Vadirajaru met Purandara Dasaru, Kanakadasaru, Sri Vishnu Theertharu (later Vijayeendra Theertharu) and King Krishnadevaraya. 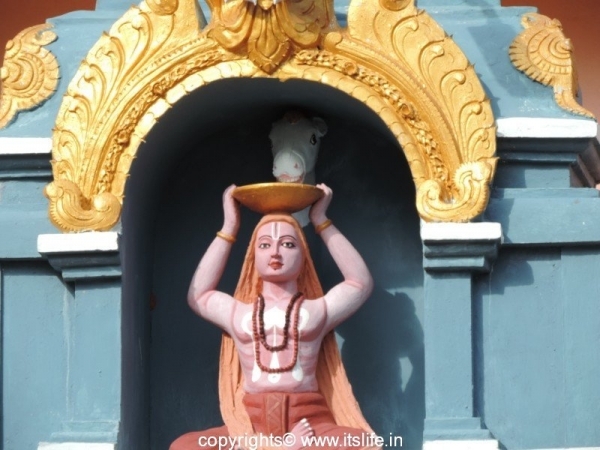 Vaadirajaru is recognized as a great saint with strong spiritual powers, poet, philosopher, reformer, and a writer. He has translated many literary works into Kannada and simplified life concepts in the form of simple sthotras (chants). Vaadirajaru revered Lord Vishnu in the form of Lord Hayagriva or Hayavadana, the god of knowledge and wisdom. 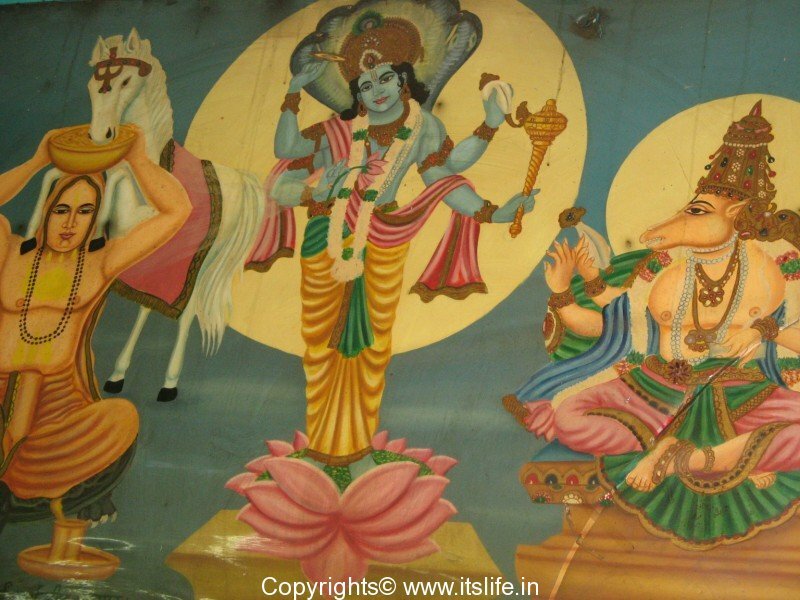 Lord Hayagriva or Hayavadana has a human body with a white horse’s head. The Sode matha was established by Sri Vadirajaru on the land donated by King Arasappa nayaka. The dish Hayagreeva is very popular in all the Madhwa households. This dish is related to one of the incident that occurred in the life of Vadirajaru. 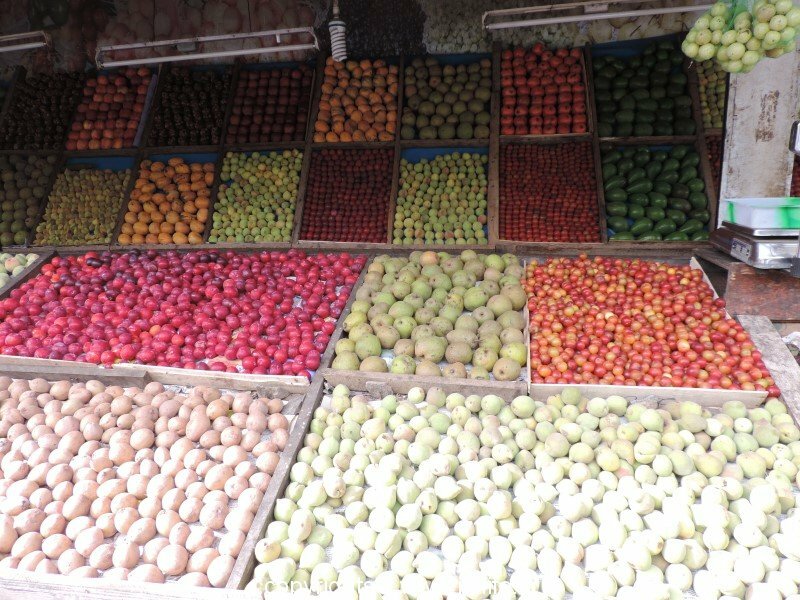 A land adjacent to the Sode Matha belonged to a hardworking farmer and was very happy that the crop was ready for harvesting. One day he saw that some crop was destroyed. To find out the identity of the miscreant he goes to the field in the night and is surprised to see a white horse coming from the Matha and eating the crop and going back into the matha. The next day he informs Sri Vadirajaru and kind Swamji though aware that there were no horses in the Matha, agrees to pay for the damage to the farmer. To confirm once again the farmer visits the land in the night and to his surprise sees a huge amount of gold in the field. The farmer again informs Sri Vadirajaru about it and the swamiji advises the farmer not to see the gold again. But, the farmer disobeys and loses his eyes. Sri Vadirajaru realizes that the horse was none other than Lord Hayavadana and with great devotion prays to Lord Hayavadana and requests him to eat from him and not from the field. The swamiji also prays for eyesight of the farmer. 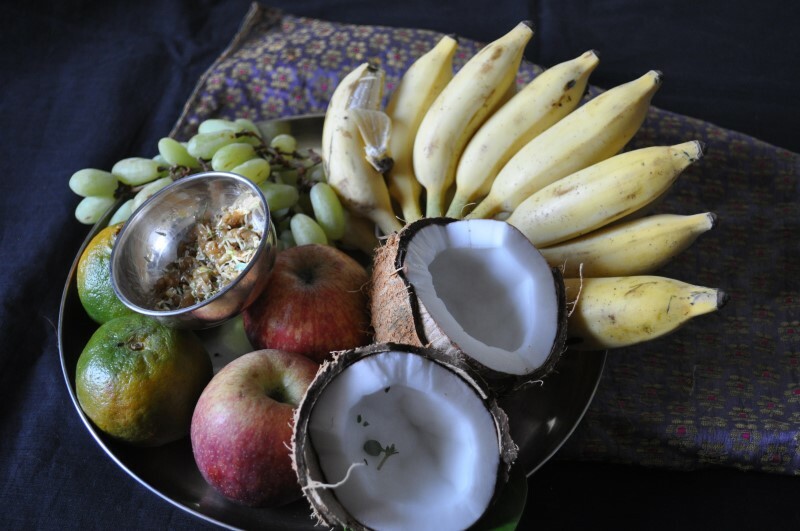 Every day, Sri Vadirajaru started offering Hayagriva served in a tray and holding it on his head. Lord Hayavadana would put both the front legs on the Swamiji’s shoulders and eat the sweet while the Swamji would sing the Dashavatara Stuti set to Ashvaghati beat. Sri Vadirajaru famous works are Yuktimallika, Mahabharata Lakshalankara, Mahabharata-tatparya-Nirnaya, Rukminisha-Vijaya, Svapna-Vrndavanakhyana, Sarasa Bharati Vilasa, Sruti Tattva Prakashika, and Indian travelogue Thirtha prabhanda. Sri Vadirajaru increased the Paryaya duration from 2 months to 2 years in Udupi. He has created a mini Udupi in Sode, installed the Manjunatha idol at Dharmasthala, and he has instlled the statue of Sri Madhwacharya at Pajaka kshethra. Sri Vadirajaru lived for 120 years and performed Lord Krishna’s Paryaya at Udupi 5 times. He entered the Vridavana (tomb) alive on Palghuna (March) Bahula Tritheeya in 1600. This day is celebrated as Sri Vadirajara Aradhane. This year (2017) it is on 15th March. Vadirajateertharu brindavana is installed in Sodhe temple near Sirsi in Karnataka.